Recently my friends from Tacoma, The Roleys, and Delany, moved to Berlin and more specifically the Templehoff district in Berlin. 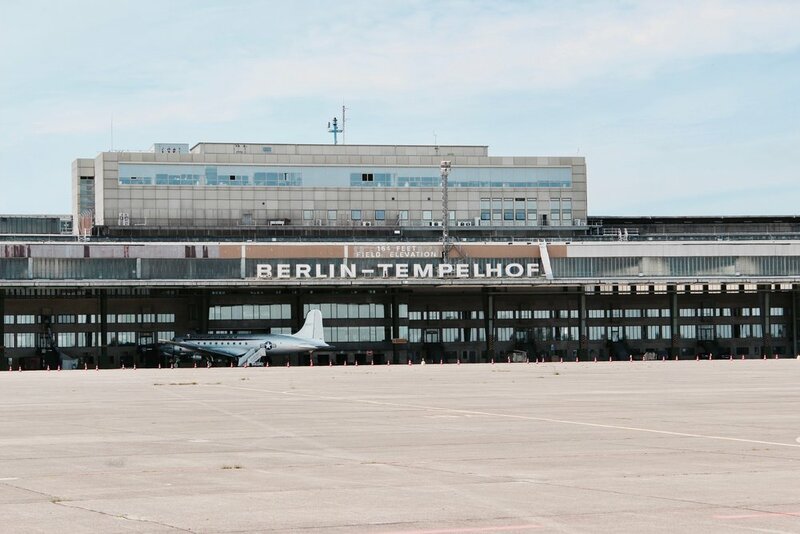 The Templehoff airport, near their home, houses one of the largest refugee camps in all over Europe. Which is convenient if the goal of your ministry is to work with refugees. In the short time that they have been there, they have established connections with refugees, started a baseball outreach, and have connected to two other groups partnering together to serve and bless the refugee people in Berlin. In may, Miranda and I have a chance to return to this amazing city and serve these beloved refugees alongside our friends. In order to do that we need to raise a little over $2000 each. If you would like to support us, you can do so by following this link. Our first deadline of $200 is the 25th of January and the following deadline of $1200 will be on February 20th. Miranda and I get the opportunity to lead this trip together and look forward to the chance of growing in this form of ministry together as well as learning how to better serve people of different cultures, languages, and backgrounds. We believe this trip will be an amazing chance to serve but also to be transformed ourselves into more effective and powerful lovers of people. We find ourselves so thankful to be leading this trip and to be sent by our home church in Tacoma, City Central Church. If you have any questions about the trip or would like to know more, feel free to connect with us at MIranda@therazos.com or Hunter@therazos.com. Never have we seen a city so raw and vulnerable. Berlin, Germany has truly dealt openly with their past. From the monument to the "Murdered Jews" to the clearly marked remains of a wall torn down it is so evident that Berlin has chosen one thing above all others... "We will not forget, and we will move forward". This hit us so deeply on our first day in Germany as we were lead through the city by our amazing new friend Tim, a local missionary that we got to hang out with all week. He showed us not only the reminders of the past, but also spoke of what the Lord has been showing his family for the future of this city. 3 years ago when the Ashworths and the Campbells, both missionary families that we partnered with, moved to Berlin neither really new what the Lord had in store. Shortly after both had moved to this City thousands of refugees flowed in. Then the Lord began to make clear the intention of his heart for these beloved people, as well as their purpose in the land. Thousands of refugees have come to Christ from Islamic backgrounds in Germany within these last few years. People who previously had no ability to hear the Gospel, short of a supernatural visit from Jesus himself. Our friends in Berlin have been so faithfully pouring into the work there and have seen and experienced so many amazing encounters with refugees and their first encounters with Jesus. God has been so kind and faithful to lay the ground work. This is truly a time of harvest for the Church. Our experience in Berlin has left us so hungry for more and filled with a desire to return to these people and this land. We are so excited for what is happening and we were so blessed to experience it first hand. During our time there we were able to minister in a few different ways. Two of the nights our team lead nights of prayer and ministry for anyone who desired to join. At one point somewhere around 18 nations were represented and 4 different languages were being translated at once. While we may have blessed some with our prayer, it was truly such a blessing to offer prayer to such kind, loving, and powerful friends. I am filled with hope for the nations when I think of those who are coming to Christ in Germany as we speak. The refugees who are coming to know Jesus move in such power and authority that I truly believe they will bring revival not only to Europe, but back to the Middle-East and beyond. We also were lead in Evangelism this week by our friend Solomon who is a refugee living in Berlin from Libya. Solomon came to Christ in relationship to the Campbells and Ashworths after several amazing encounters with Jesus himself, and his story is not all that unique. Many of the refugees, we spoke to, who have come to know Jesus all started with seeing Jesus in a dream or vision. Encounters so deep that they can describe how Jesus looks. Solomon lead us so well during our time on the streets. He basically told us that people would come to us. If they wanted prayer they would say yes, and if not they would leave. That is exactly what happened. We went to a park and waited for the people to come. We didn't hold signs or have any real way of attracting people to us, we simply waited on benches and believed that Jesus would bring those in need to us. Person after person came by and many accepted prayer. Everyone who did accept prayer were so thankful, and in many cases they hadn't really planned on coming, they just decided that that day they would take a walk between their work or whatever they had going on. Jesus brought those to the ones willing to say yes. We also had many other ministry opportunities as we walked throughout Berlin, had families over to the house, and encountered people in our path. If you'd like to hear more about any of these encounters or have questions about anything we experienced you can message either of us directly. We would love to explain in greater detail or hop on a call to chat about the trip! Thank you to everyone who supported us in our trip. It was such a blessing and we are so stirred by what Jesus is continuing to do in the nations. Luckily for you and I the same Jesus in Berlin is the same one that wants to encounter you in your very room now. So do not hold back, ask Jesus for more, he wants to reveal himself and he desires nothing more than to let his Love be known. Berlin, Germany has opened their doors wide to all refugees in need. Refugees from all around Europe, The Middle East, Africa, and beyond have found sanctuary in this small geographic area. Within this group lies people who have previously been cut off from the Gospel and are now located in a place open to the preaching of the good news and to the message of hope. While circumstance is undeniably and unbelievably awful, we believe that it is the goodness of God to bring hope and peace in a time of chaos. Such a time is this to be sent into the nations to bring the message of hope and better days. We truly believe the Gospel in action changes everything, from a meal served in love to everlasting life. That if we would move in the rhythm of God's heart, healing would come and people would receive real love. Most of all this is not just for the far off missionary, but for the neighbor next door and the co-worker beside you. It's our hope that this trip would bring clarity to feelings we have had about the future as well as lay a foundation for the ministry organization being laid by the Roleys. As far as work on the ground goes, we will be helping lead a ministry conference for new believers, help with local efforts, and support the missionaries already there. We are TWO WEEKS from our deadline, time has really flown, and we would covet your prayers and support as we work to raise the last two thousand that we are in need of. Thank you to everyone who has helped us get to past the first half of the funds. You can help support us by clicking (here). IF THEY CAN'T COME, WE MUST GO. + scroll on to find out more about the trip. There is a crisis happening in the world, the war in Syria has misplaced more than 11 million people, many have fled to nearby middle-eastern countries and some to Europe. In a time where the US is becoming more and more hostile to the acceptance of refugees, what else can we do? In mid march we seek to give some hope to a misplaced and hurting people in Berlin, which currently has an open door policy to all refugees. 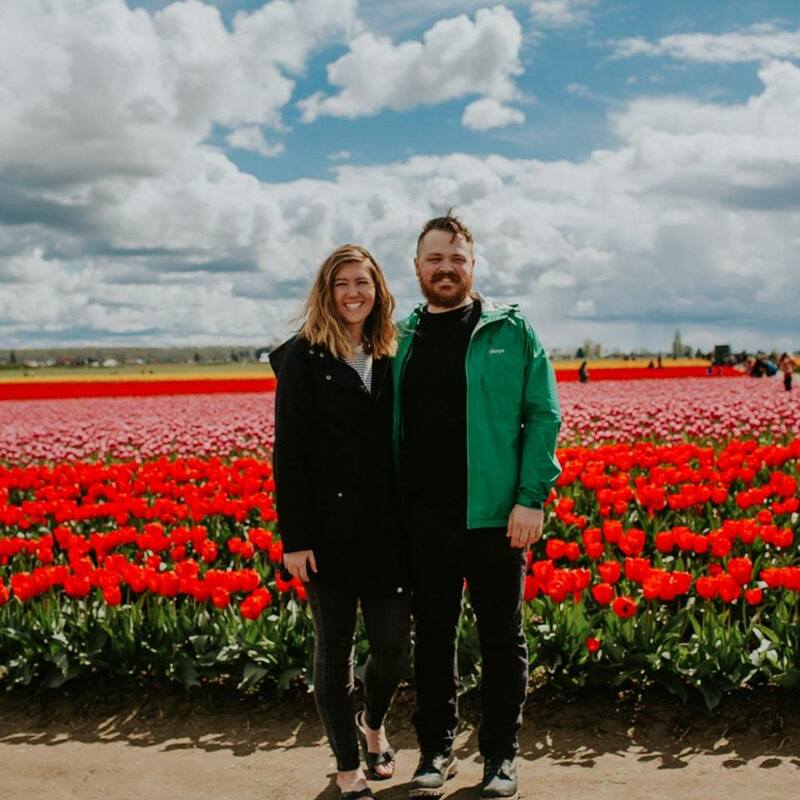 Our friends, Shane and Elizabeth Roley (The Roleys) will be moving to Berlin to work alongside local missionaries and help minister to the Syrian refugees. We will be joining the crew headed that way for a trip that will be foundational in the formation of new relationships and the building up of the local ministry. During our time there we will get the opportunity to serve and bless the local missionaries and new Syrian friends, as well as bring relief in needed areas. If you want a great inside picture of what is happening in Berlin, check out this , the most recent Ekballo project documentary about these missionaries in Berlin. In a time when it seems we can have no impact, we have but two choices, love the one in front of you and send others to love in the places we can't go. We are so thankful to everyone who has already supported us! We are a day away from our first deadline and are still in need of funding for this trip. To meet our first deadline we will need $900 each. We would love to have you partner with us. You can help support us by clicking the link below and choosing the name Hunter or Miranda from the list. Hunter and I are in Tacoma, WA! ( I'll post an update about that soon and give more details for those that might be interested) But we are so thrilled to be here and be a part of the community. One of the perks is getting to be with a bride and celebrate months ( really just a month ) before, and I must say this was one of the most beautiful bridal showers I have seen! Ana has certainly surrounded herself with wonderful, strong, encouraging women, and the love they poured out on her was so evident throughout the celebration. These ladies thought of the littlest details and helped the party be full of tons of oy and fellowship, so happy I could capture it. When I met these two, I knew right away that their day would be one filled with lots of laughs and even more love. It was obvious with their dedication towards each other throughout intense schooling and long distance, their love for one another was SO strong. No matter what came their way they had an attitude of joy and a response of love and I couldn't have been more thrilled to be invited to capture their day. The time of day of the ceremony (10 am, complete with a 7 am first look which was SO beautiful) the perfect overcast (yet very chilly) weather, and the location of this wedding made it so spectacular. Even more spectacular was the fact that Michelle and Harrison are two amazing human beings. They chose to get married at the gardens at the Indy Zoo, but little did they know that April wouldn't bring them the warmest weather. They stuck it out so wonderfully and in a beautiful setting started their life together surrounded by friends and family that loved them dearly. So many highlights came from this day, but enjoy the story of the new Mr. and Mrs. Hines. Last year I subscribed to the magazine Kinfolk. Kinfolk's beautiful simplicity combined with its impactful words became immediately so inspiring to me. With its focus on life and community, I attempted to imitate it's simplicity in the way that I photographed, and also pair it with a couple quirky artful images. Enjoy this excerpt from this kinfolk inspired set. Photography has a beautiful rich history full of processes that are far from the digital realm we are so familiar with. This past semester I got to experiment with a process called cyanotype which is a mixture of chemicals and contact printing objects or images on a material to form a gorgeously blue print. While some of the cheapest processes around and historically known for making copies I combined this way of printing with some images from a found roll of school class images and a digital negative of a star map to show that in some way we are all connected. I enjoyed removing myself from my everyday work and artistic choices to challenge myself in making something far out of my comfort zone. Enjoy! Senior Exhibition - A Final Hurah! As I wrap up my senior year of college, these past 2 semesters being some of the most intensive yet, I can't help but be overjoyed where I am. This semester was extra special as I got to work with my future husband to create an awesome work that I could have never dreamed up on my own, and also help be a part of something that is so much bigger than myself. I learned so much through the process, and ultimately the show was such a success. The class took so much authority and was able to see the potential and beauty in a vacant spot downtown, and transform it in just a few short months into something beautiful. A place filled with art, activity, and most importantly people. Ultimately that's what Hunter and I's show was about: seeing people. Seeing people for who they truly are, avoiding jumping to conclusions despite the fact that we are all guilty of it, and at the end of the day learning to love more generously than we hand out assumptions. For those that were able to make it to the show, thank you for your support, and for those that were not, enjoy these little snippets of our installation, and a semester's worth of work. From many differing angles, a person, place, or thing can appear vastly different than from the other varying options of perspective. Some perspectives we have are more favorable, some feed into our preconceived notions and assumptions, and some of these might be helpful, while the others hold potential of harm. This harm could distance, disengage, or disillusion us from that which we see. How would one receive a correct perspective on that which they observe? Is it possible to create assumptions that bless and benefit? Can we simply observe and predict in order to create favorable outcomes with the person, place, or thing we have observed? Our work is a deep look into the complex frustration of assumptions made, and received. These assumptions have disengaged us, hurt us, and disillusioned us from the reality and truth of that which we see. We constantly struggle through the attempt of giving the fair chance and creating a space for strangers to be accepted instead of unfairly defined. In an attempt to hear, before perceiving, we have flipped a traditional model of communication, in order that the viewer might understand before seeing, blinding us from our desire to assume and predict. We have vulnerably presented ourselves, confessing that we struggle with this assumptive nature. We are learning to understand, believe, and then perceive. How will you perceive us? What are your assumptions? Will you join us in our pursuit? I don't shoot proposals very often, in fact the only other proposal I did was a complete surprise to me, I just so happen to be documenting something else when it happened. But when I got asked to help out with my suite mates proposal, I was so excited! Kelsey is such a dear friend, a beautiful young woman, a sweet and gentle heart, and her man ( now fiancé) balances her so well. On the day before Valentines he popped the question, and she said yes! I'm so happy for them, and their new lives together. Congrats to the future Mr. and Mrs. Brothers! I just recently became friends with Ashley this past year, but she has seriously become so close, so fast. Her intimacy with the Lord, the way she hears His voice, loves the people around her and truly chases after adventure is SO inspiring to me. It was good to go to Ohio to see her along with Alicia before she heads off to Australia for her own study abroad. While I was with her though, not only did I get to witness powerful ministry on my own life and the lives of others, hear crazy testimonies, and experience wonderful hospitality...but I also got to go out and just take pictures for the sake of taking pictures. I can honestly say it's been a while since I took pictures just for the fun of it and I could feel the creativity return to me that has felt like it's gone missing this past semester. Ashley is a stunning individual, with a heart to match. Here's to wishing her the very best as she goes on her newest adventure. I absolutely love going new places, and even more than going to places do I love visiting friends. Last weekend I got to do both, which was such a blessing to me. Alicia is one of my dear friends, and seriously an AMAZING photographer.... (Alicia Wines Photography) <--- check this girl ouutttttt. She let me visit and she actually just recently got engaged. I couldn't help but ask for a few photos of them, just for my sake and really just of this stunning gal to put some great content on my new website. Alicia has been so incredibly encouraging to me, photography wise, relationship wise, and really just life wise. She's been the closet thing to a mentor that I have ever had, and it really has been an honor to soak up her wisdom but still feel like a friend. She's the cat's pajamas, and I secretly wish I could just take her to Italy so I wouldn't have to leave her. And then they got into a snow fight. If you ask anyone that has ever branded themselves before, I imagine that they would tell you that it's pretty dang hard. Ever since I started seeing myself become something that resembled a business (my senior year in high school), I started dreaming up logos and tried to make myself look as professional as possible. Goodness, I even ordered 250 business cards with the most horrendous logo for Fuchs Photography that are probably still somewhere in my house and need to be burned ... Needless to say I have come a long long way. While photography has always been my first love, I have a special place for design in my life and am studying both Graphic Design and Photography at Indiana Wesleyan. I love good brand design, and while I've never had a knack for it, I was pretty determined to brand myself or at least create a logo. 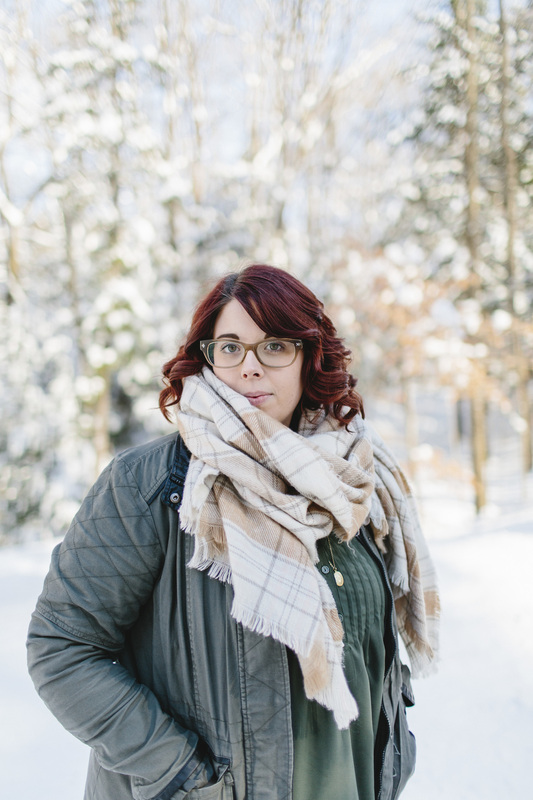 I tried for 4 years and went through 3 name changes ( Fuchs Photography >> Miranda Fuchs Photography >> Miranda Coralyn Photography )! I would get TONS of inspiration from places like pinterest, designspiration ,and even the graphics classes that I was taking. I gave up last year and actually hired someone else only to feel like it was still not 100% me. One thing that is hard about logos is that they can hop on trends SO easily. (Brush scripted, retro, badges, all that stuff that I LOVED but knew that eventually a new fad would come and go). I really wasn't interested in giving myself a new logo every year so the question became.... how do I find a balance between what I love and something that is timeless, classic, and still a good representation of me? GREAT question. I still don't know if I have the answer, but THIS is what stuck. I came up with three logos ( no one needs three logos haha ) but they will all serve different purposes for what I use them for. The one at the top of the page is my primary logo. In the 8 months that I really have worked on this project, it this has been the one that stuck the longest, and I constantly went back to it. Kinda like prepping for a tattoo...you put it in a place where you can stare at if for a long enough time and if you still love it after several months you're probably okay to get it. ANYWAY I love even though it's brush script, that it's my own writing and adds a personal touch paired with a classic elegant serif type. My second and third logo coordinate really well, one for more formal things and the other to better represent who I am as a photographer. The clearer more defined type emerges from a raw and real surface, and that sums up a lot of what I like to do in my photography. I enjoy seeking out and finding what the Lord already calls beautiful in the the most raw of places. I'm a pretty indecisive person so I really can't tell you how long this will stick around or if the colors will change, but I just know that I have a good start. As much as the process has kinda sucked getting to this point, I love the finish product. When Madison first emailed me, I knew right away that this girl would easily feel like a long lost friend. After meeting her and her fiancé Murt for the first time, I was overjoyed and honored to get to take their pictures, not only of their engagement, but their wedding that will be later this year. They're fun personalities along with the obvious way they love each other only stood out more as the day went on and after they had shared just how long they had known each other, and their extra long engagement. Their commitment to each other, the Lord, and to the people they love is beautiful to watch. Thanks Madison and Murt for being amazing, Can't wait to capture your special day!